Taking care of your hair is one of the most important things you can ever do for your beauty routine. Hair is such a big deal. People are either talking about how they want to change it, grow it out, or learn to style it. 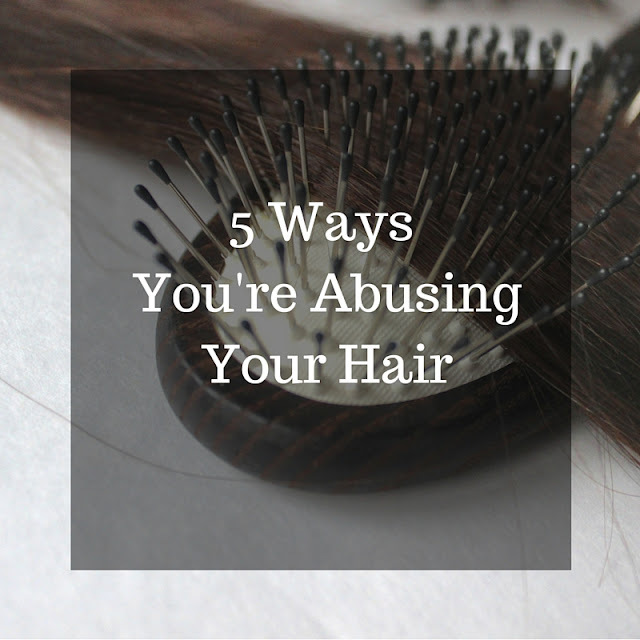 But most people don't realize that they can be really abusing their hair and neglecting it and it all starts with YOU. The way you care for your hair determines how it will look and feel in the long run. So here are 5 common ways you may be abusing your hair! When you are out in the sun you remember to protect your skin, right? But what about your hair? That's right - sun can damage your hair too and it can also make your color fade, hence why people can get natural highlights by laying out in the sun too often. Make sure you cover up and in the summer months you can even use a UV spray on your strands. If you blow dry AND curl or flat iron your hair every single day then you are really beating up your strands. 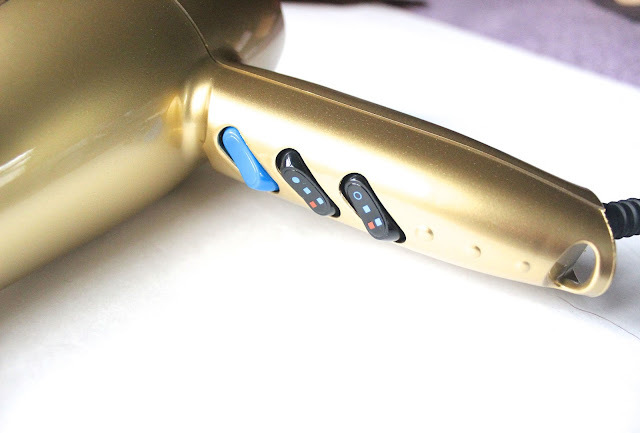 Heat is very hard on each individual strand of hair which is why I recommend only using heat when you have to. Try to go a few days without washing your hair so you don't need to dry it. Sometimes when your hair seems greasy it's actually because it's producing more oil to make up for how dry your scalp really is. If you wash your hair everyday, it may actually be drying it out. In order to break the cycle you have to go an extra day or two each week without washing it. Eventually, your hair will get used to the new routine and oil production will be reduced. You can use dry shampoo on the in-between days. I always cringe when I see people changing their hair color every week. Honestly, hair color can be really hard on your strands so try to stick with one color and stay there for a few years. Also, it's better to make your hair darker than lighter. If you aren't using a hair mask once a week let me fill you in on why you need to start! Shielo has an amazing Intensive Hair Mask that I use on a regular basis. It's safe for color-treated hair and contains certified organic extracts. This hair mask repairs your locks to leave your hair looking fresh, moisturized, and free flowing. Results can be expected after only one use of it! What are you doing to your hair that you need to change? Didn't even know there was sunscreen for your hair. I made hair mistake #4 at the end of last year. I did to color treatments on it too quickly after each other but luckily I found a hair mask and became quite pedantic about using it. It's almost healed. oh thats good news!!! i know its crazy but our hair is so sensitive and one wrong move and then bam!